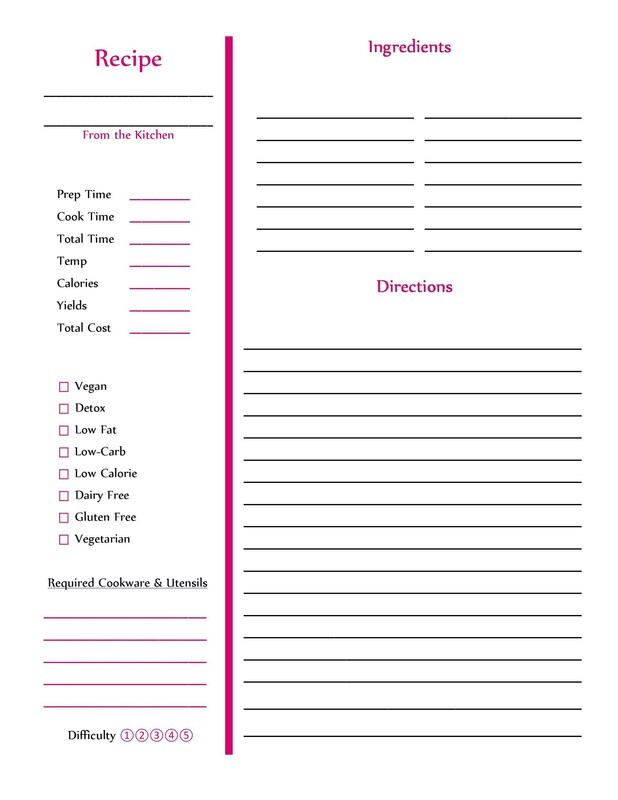 A cookbook template is an exceptional tool people can use to simplify the process of putting together a large collection of recipes. While some people choose to create a cookbook from scratch without a template, others might even choose to make their own templates using word processing or pdf creating programs. There are some risks, however, one faces in choosing to write something from scratch without a recipe template to follow. There are also risks in trying to design a template, especially if you have little to no experience in doing so. 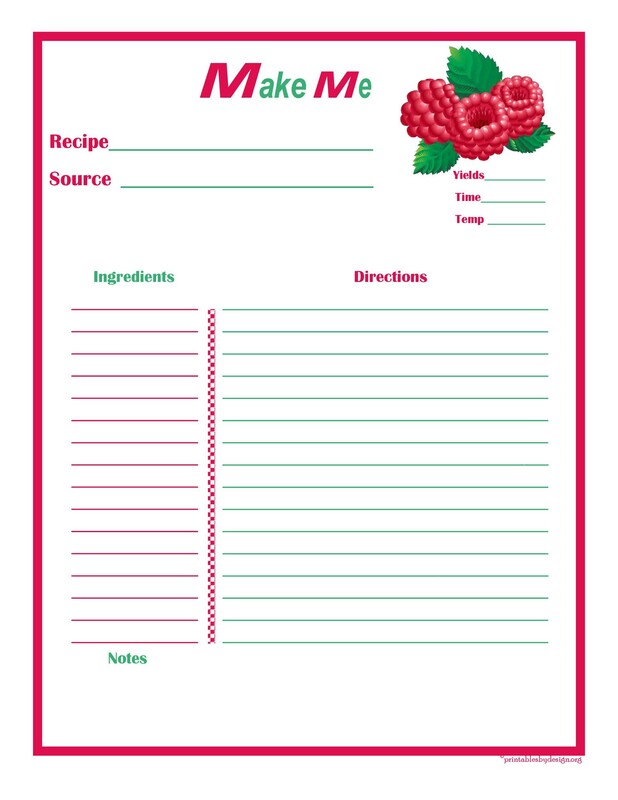 A ready-made recipe book template solves both issues instantly. 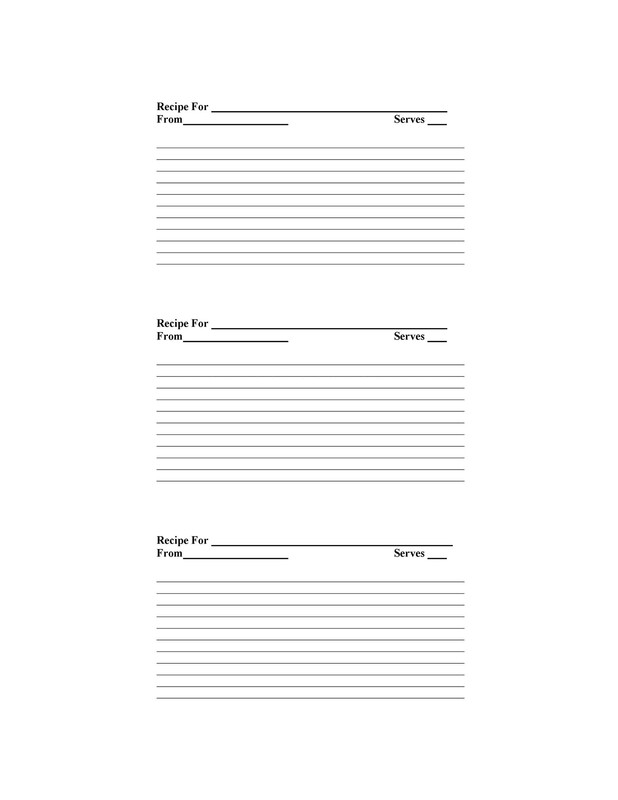 2 Who should use a cookbook template? 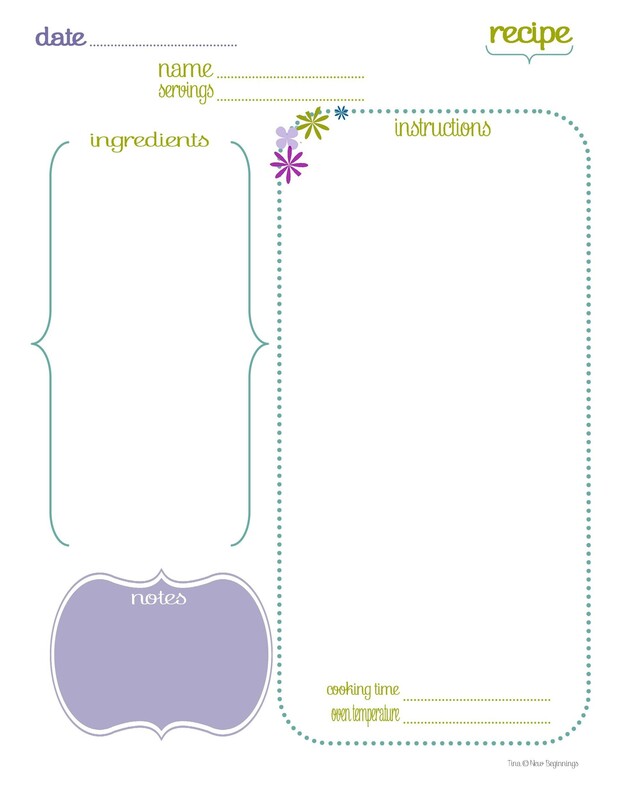 3 What goes into a cookbook template design? 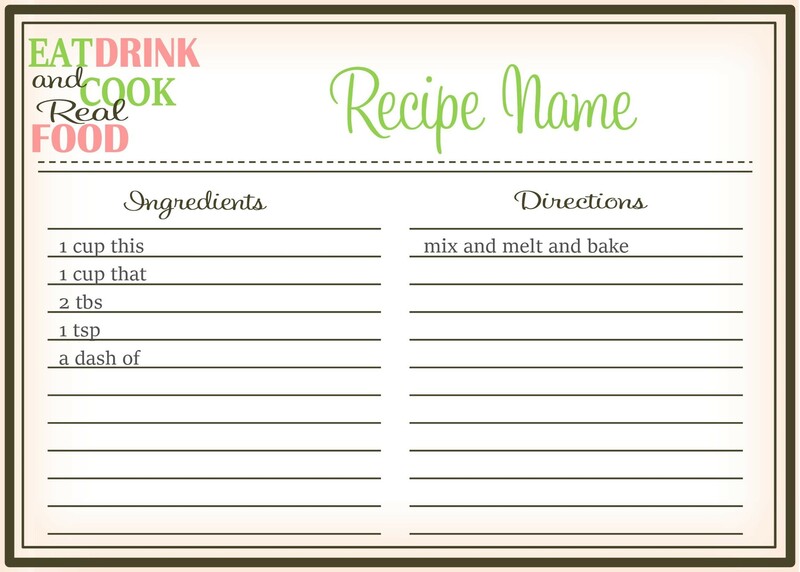 5 How does a recipe template differ from a cookbook template? While you may love cooking, the love of the art doesn’t mean that taking on the task of writing a cookbook is not a complex project. If you are creating the book to pass down to future generations, you want to make sure you write the text in an easy to use format. 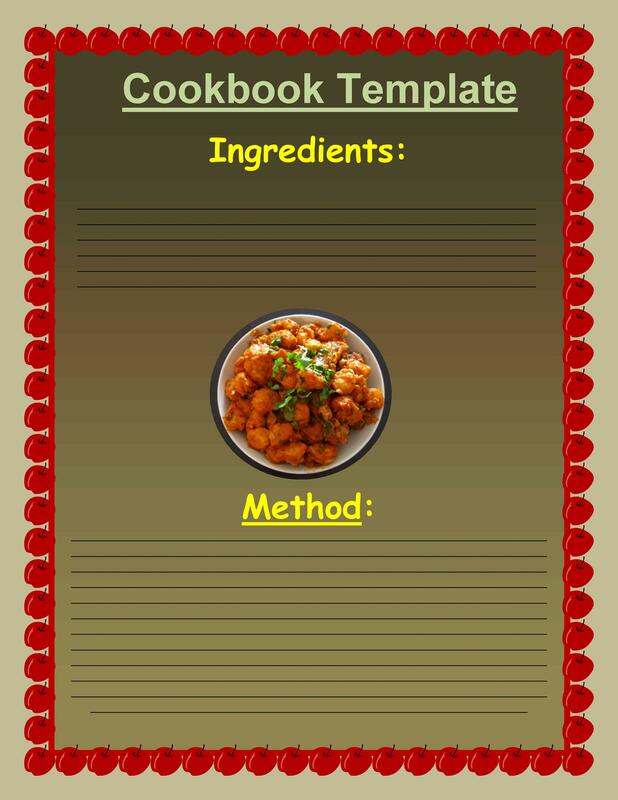 If you are looking to put together a body of work, using a cookbook template can help you design a book with a consistent, fluid design. If you want to submit the book to a publisher for consideration, then a fluid, clean, and concise book design is necessary. 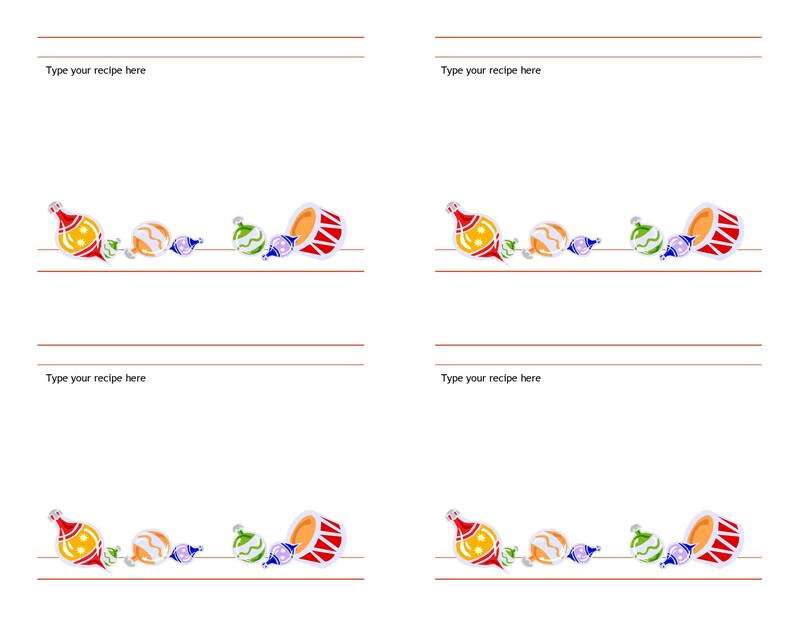 A recipe book template can help you create a professional presentation. 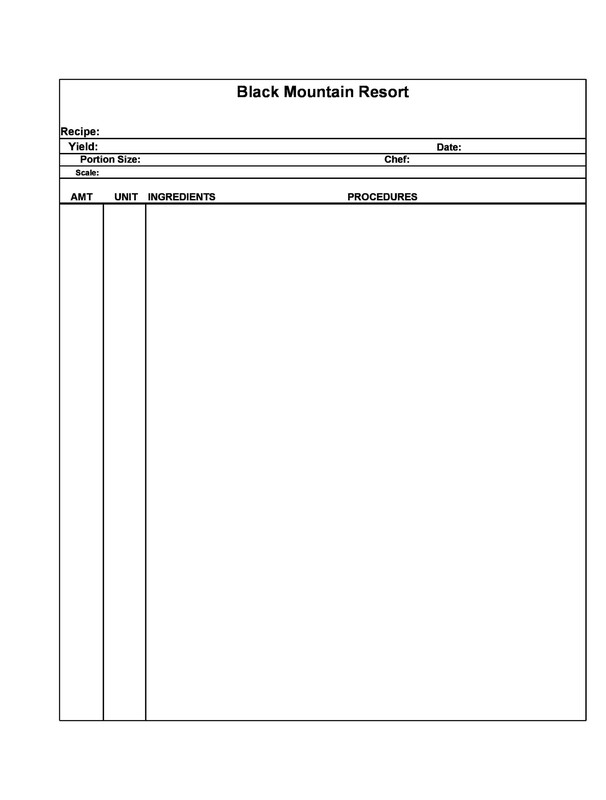 When writing a book from scratch and creating your own template, you might end up forgetting to include important design elements. 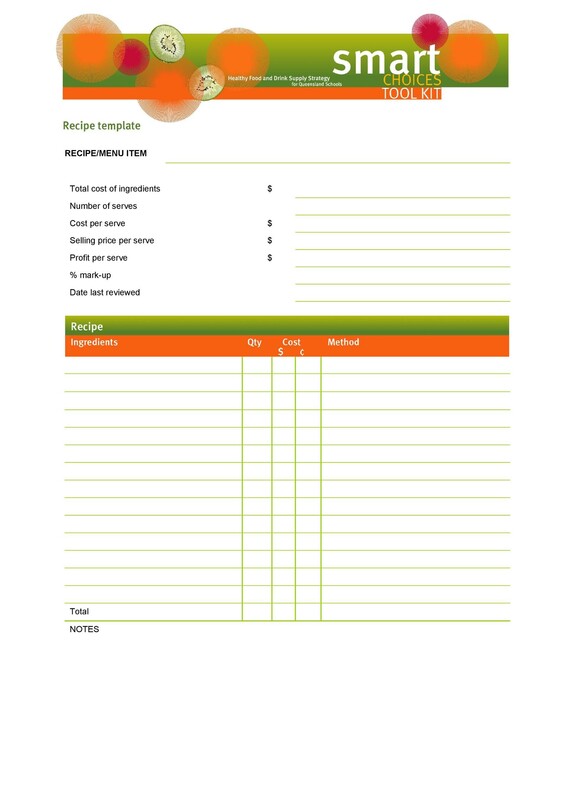 A professional cookbook template is something you can use to ensure the entire book is consistent. 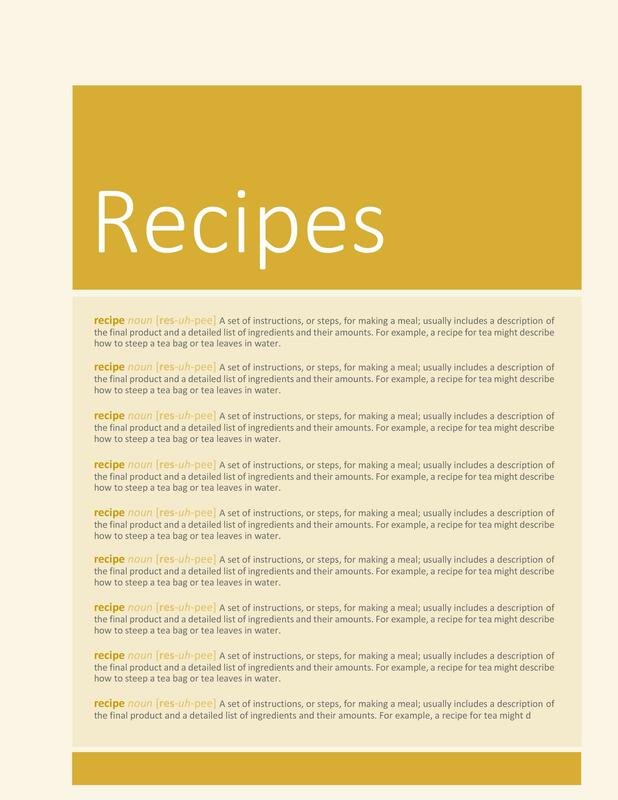 Every recipe will present in the same format with a clean, easy to understand structure. 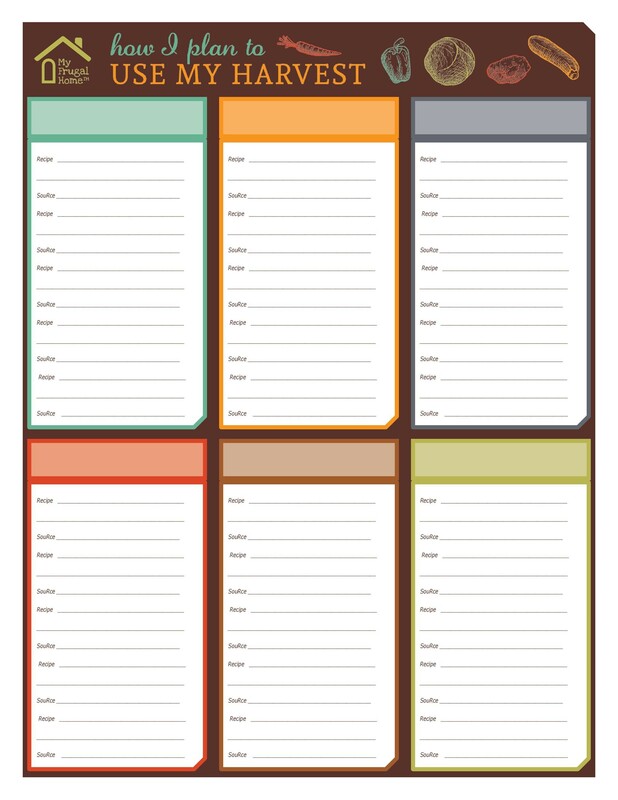 A recipe template will help you ensure all your challenging work looks its best. It will also help you create a body of work a user can navigate with ease. 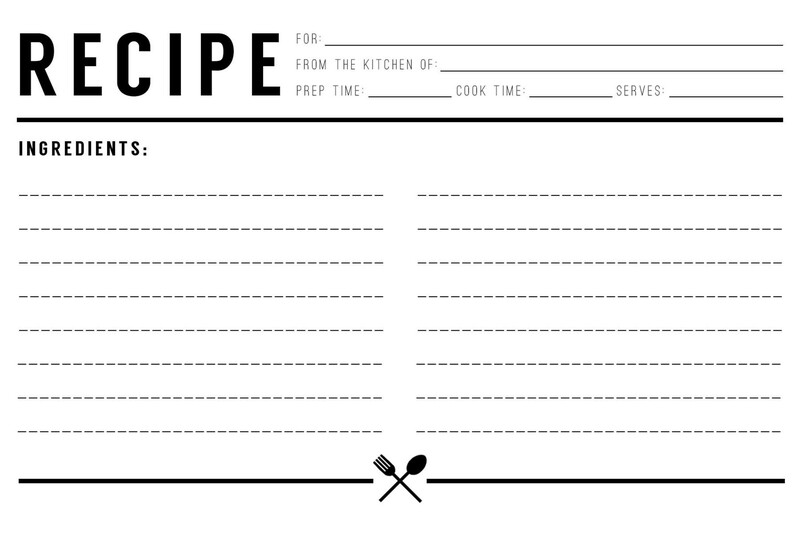 Who should use a cookbook template? A person who is looking to put together a collection of family recipes. Anyone looking to organize all the favorite recipes. Anyone looking to make a cookbook as a gift for another person. A person who wants to create a book that will later become a family heirloom. Someone creating a body of work for a local organization, non-profit, or for selling as a fund-raising item. 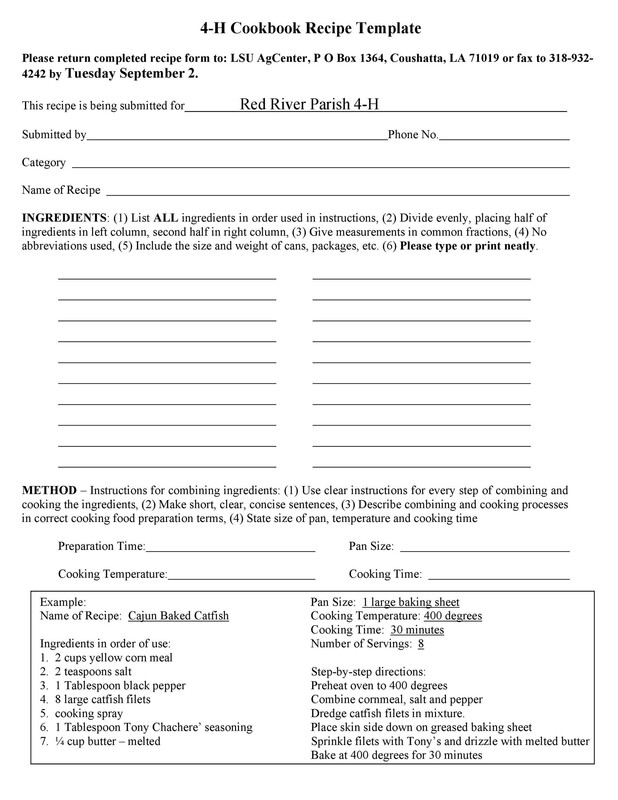 Anyone making a cookbook for a commemorative event or family reunion (to include recipes from multiple individuals). A writer considering self-publishing a cookbook. 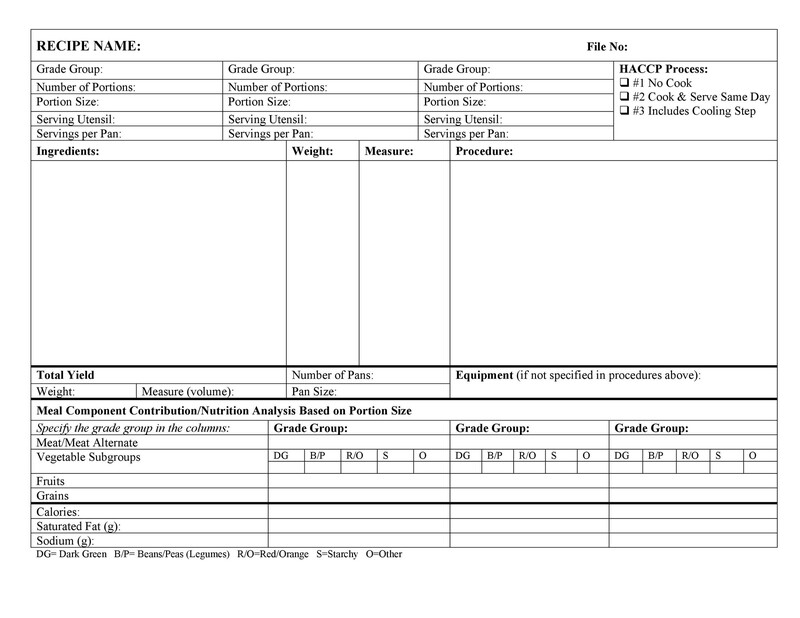 What goes into a cookbook template design? A complete, organized table of contents. 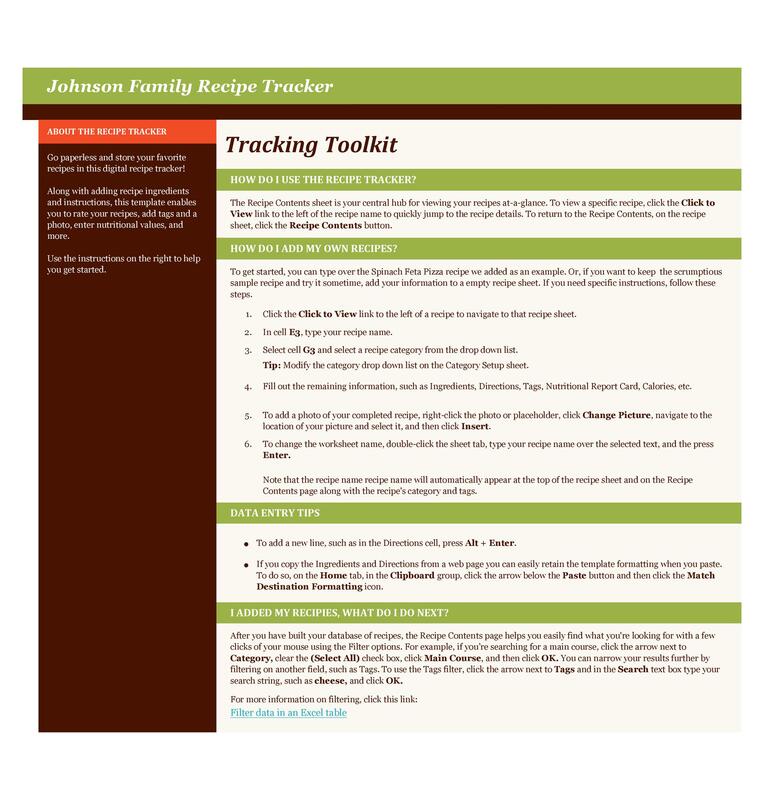 This breaks down the book into chapters and helps the user find specific recipes based on subject or theme. A section on measurements or other important notes. 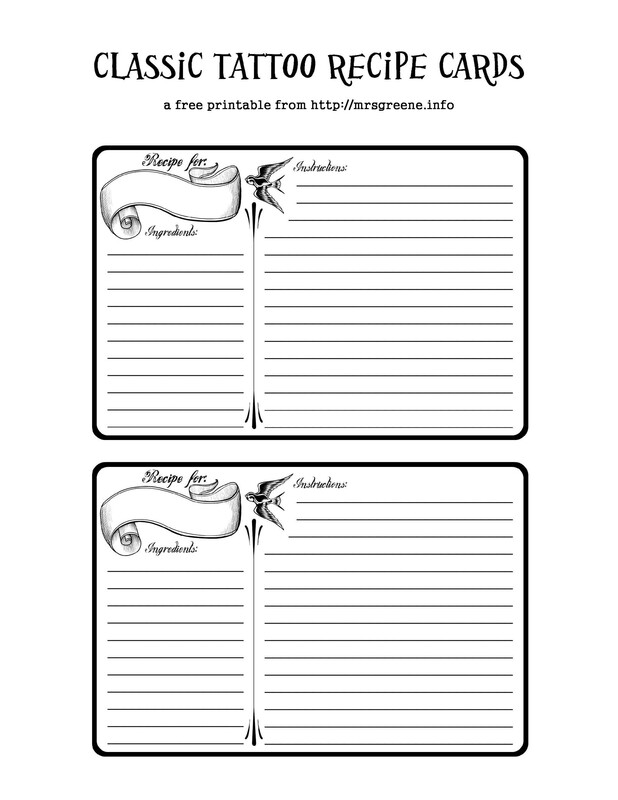 Chapters with each chapter using the same recipe template. 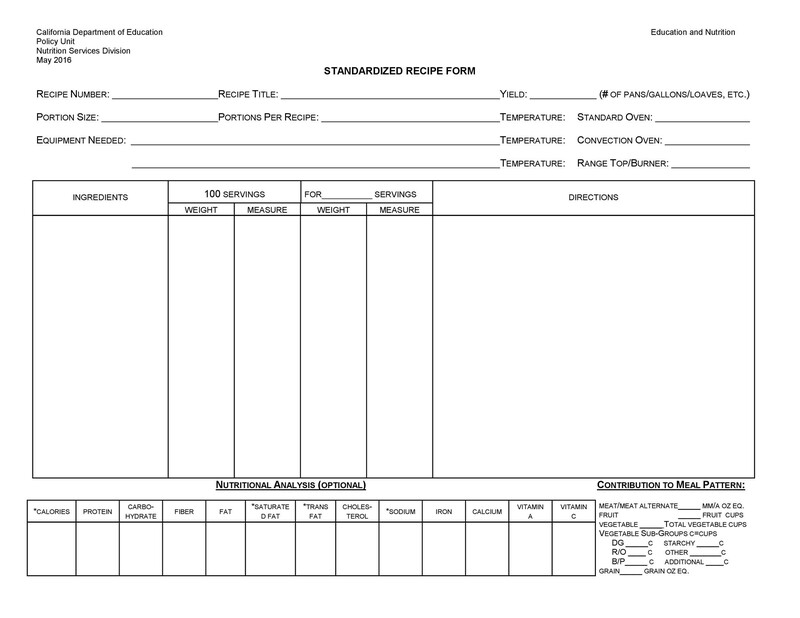 Index for ease of finding information and page numbers within the body of work. 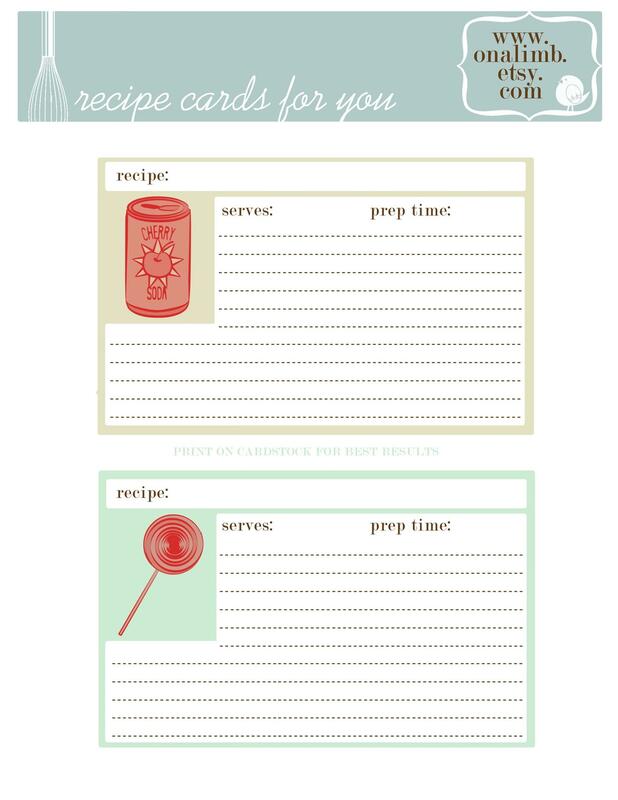 How does a recipe template differ from a cookbook template? 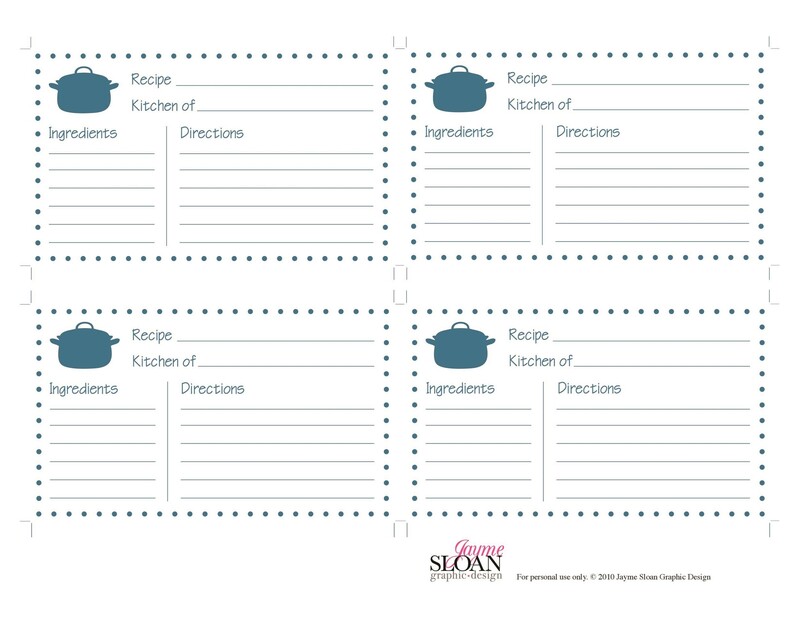 A recipe template is a guide for writing out a single recipe while a cookbook template is for planning an entire body of work having multiple recipes. 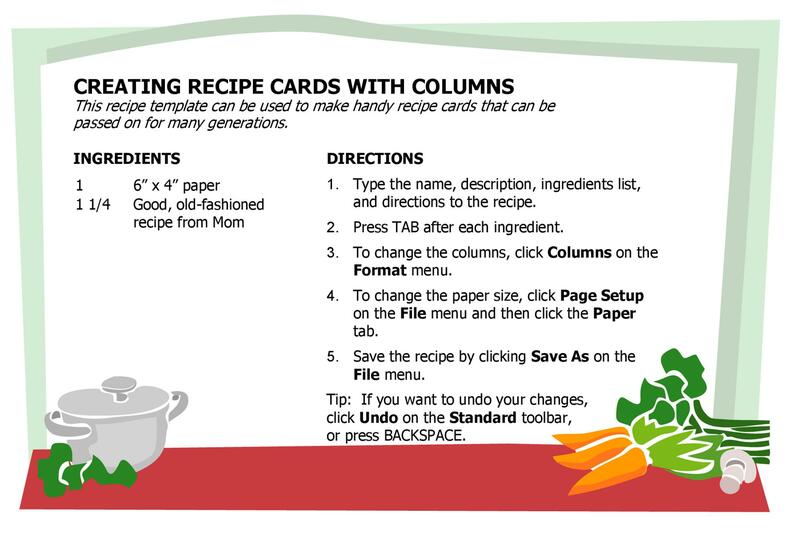 In other words, you will see a recipe template repeating throughout a cookbook template. 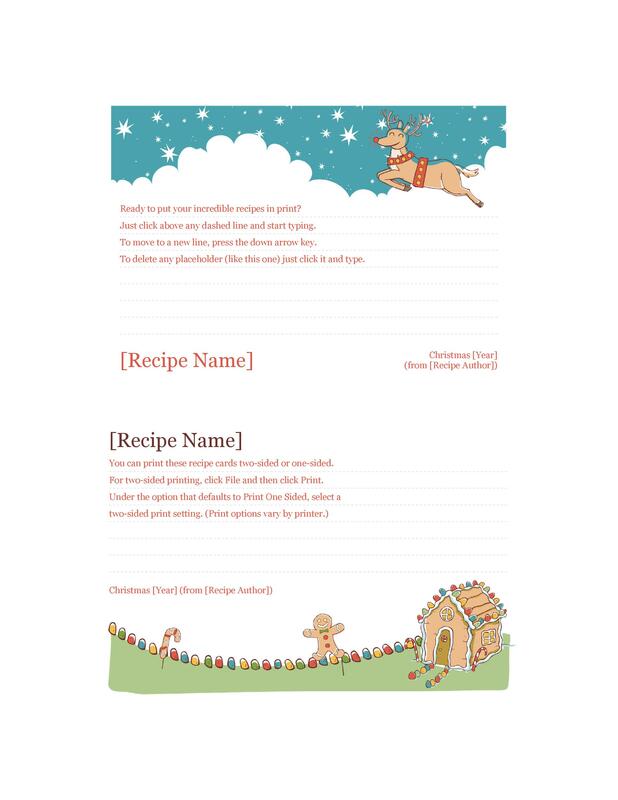 The use of the same recipe template throughout the pages of the cookbook template gives the body of work a unified appearance. It also makes for ease of organization and ensures all the necessary information the reader needs is at their fingertips. 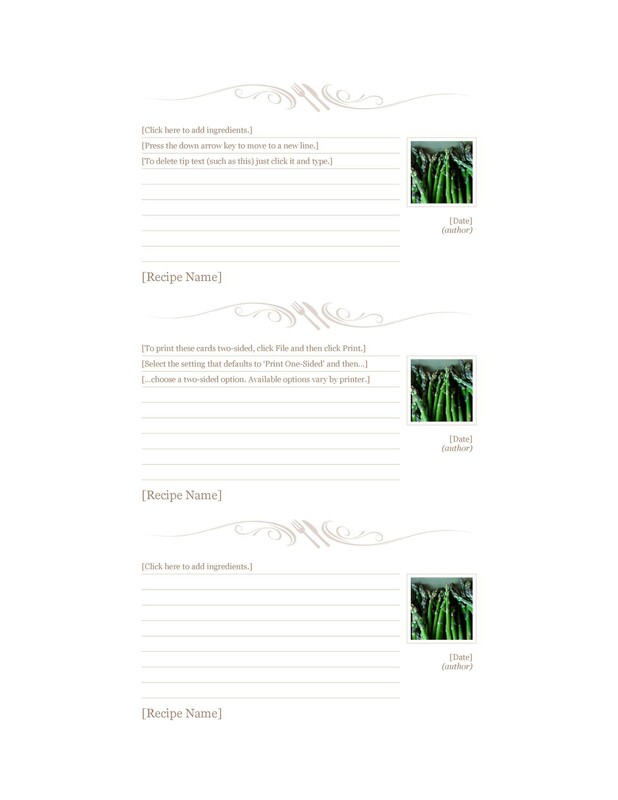 The template for a cookbook includes sections of the work from beginning to end. 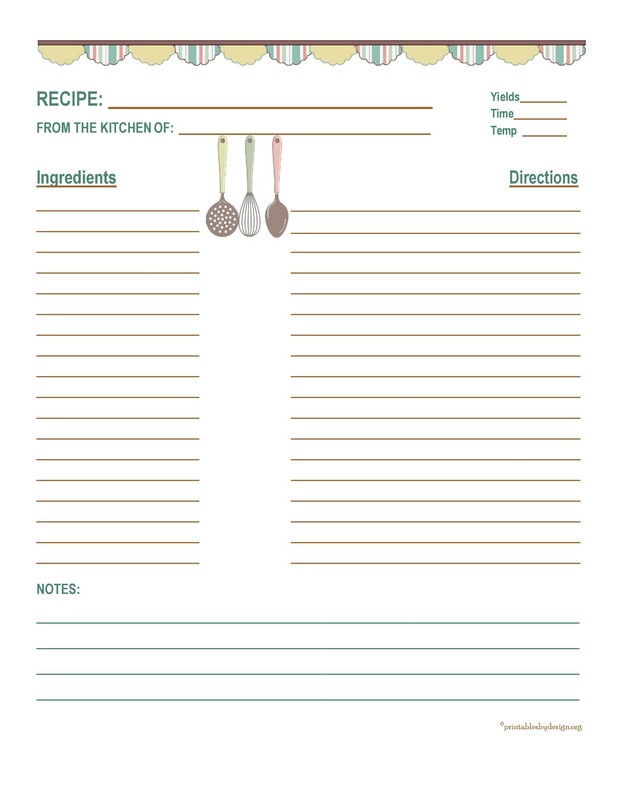 The template for a recipe is for a single recipe only. 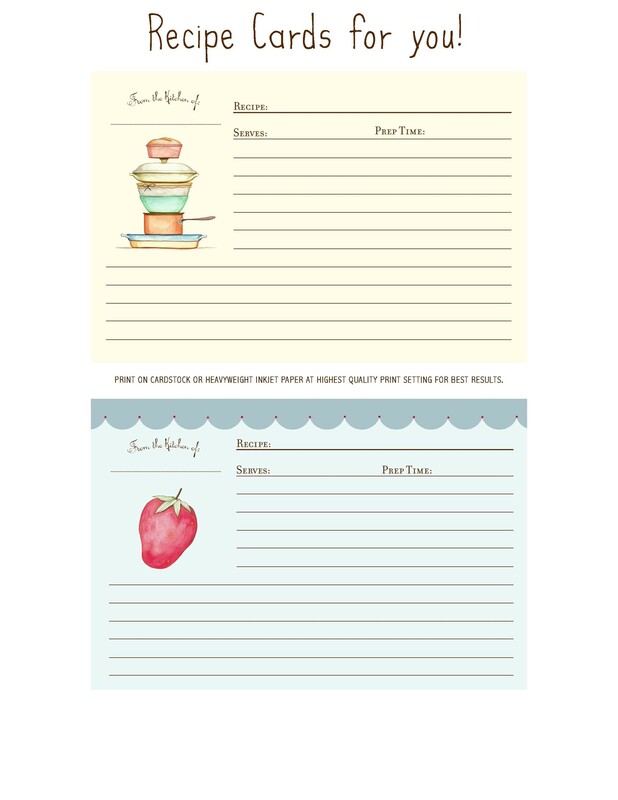 That recipe template is changeable for different dishes. 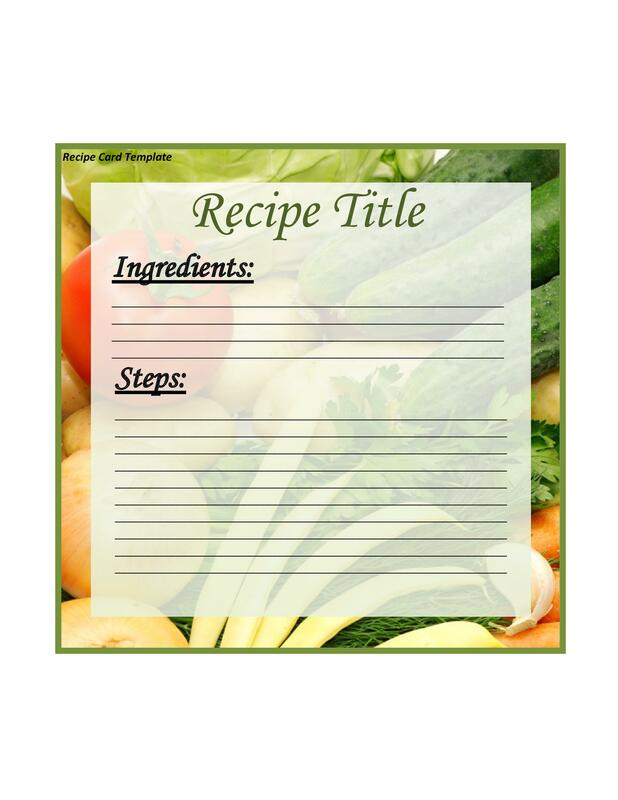 The recipe title will appear at the top of every recipe template. This should be a title that is not just descriptive, but tantalizing. The goal is to appeal to the book user. You want the reader to try the recipe in the kitchen. Every title should be unique and have just the right adjectives to tempt the neophyte or adept chef into wanting to create the dish or treat. Along with the title, an image can really help sell a dish as one that’s delicious and exquisite. If you are doing the book for yourself, you have your choice of image sizes. If you are putting a book together for a publisher, then you can expect some guidelines and limitations you will have to follow. The size of the image, pixilation, and quality will have to convert from digital to print form nicely to qualify for publication. An alternative includes taking pictures as the dish develops from start to finish. It would make for an attractive visual systematic presentation. Here, you might include short paragraphs with each photo or even some simple, short photo captions explaining the process. 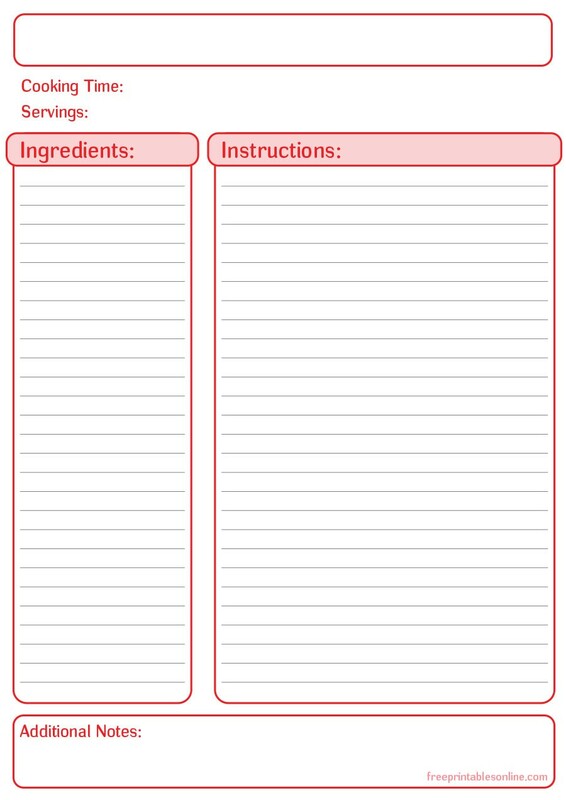 One of the most important sections on a recipe template is the ingredients list. The list of ingredients includes precise quantities for every ingredient included. Though it might be tempting to alphabetize the ingredient list, this is not the proper writing convention to follow. Rather, ingredients go into a list based on the first ingredients you’ll be using. All ingredients must be accompanied with measurement’s that are consistent and accurate. You can use metric, imperial, or both to show measurements on your ingredient’s list. You’ll also want to use the correct abbreviations throughout the work. Consistency is important. It makes the book work flow better, and it makes the work look more professional. 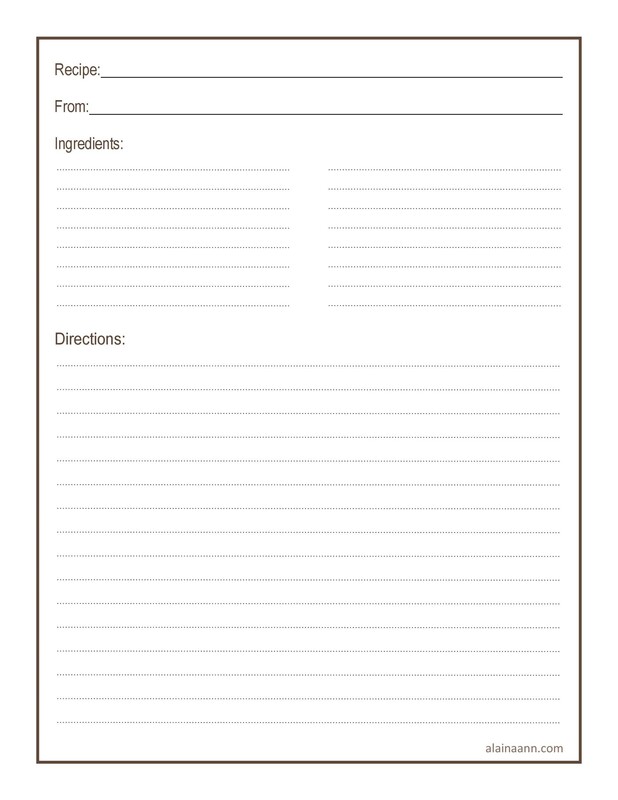 The recipe template will present the ingredients list near the top of the template. You might have an introduction to the piece before you reveal ingredients. Break down the ingredients into sections if you have differing elements going into the recipe. 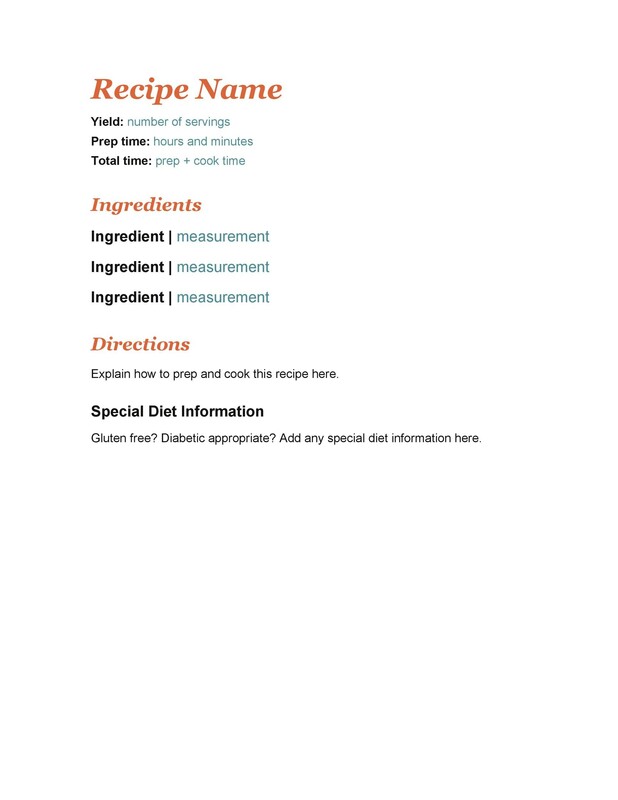 For instance, if you are giving a recipe for a dish that also has a separate recipe for the sauce, make sure the sauce ingredients go under a subheading of “Sauce.” Also, as you add the ingredients to the recipe template, you’ll need to indicate measurements. Make sure you separate numbers by using parentheses. For instance, if you are using a cup and half of flour, you will need to write it as 1(1/2-cups) for ease of reading the ingredient quantities. Simple use instructions are something you can include in the ingredients list; for example, if you are using a single onion and you need it diced up, you can write it as 1 Onion, diced. 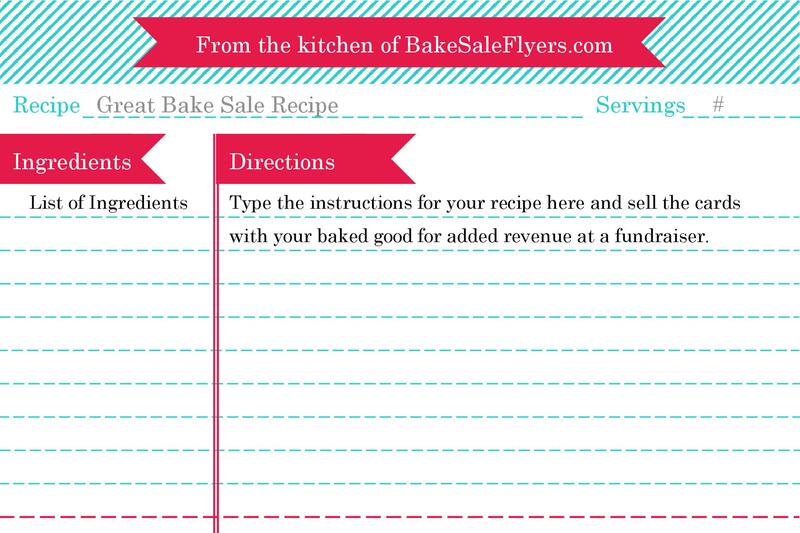 If you have ingredients you are listing in the recipe template that start with a letter, it should be capitalized. The remaining letters are lowercase. 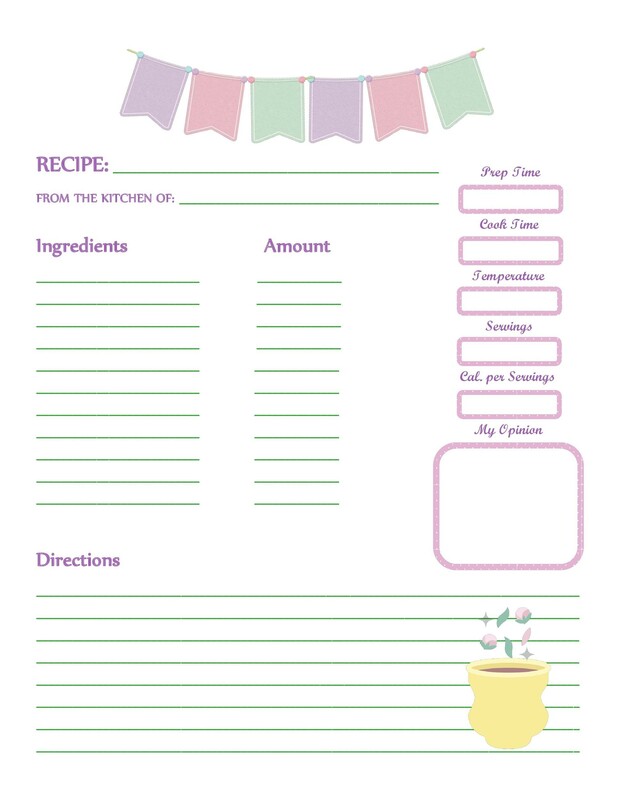 If you are using a recipe book template, it might include a separate area where you can put a supplies list. 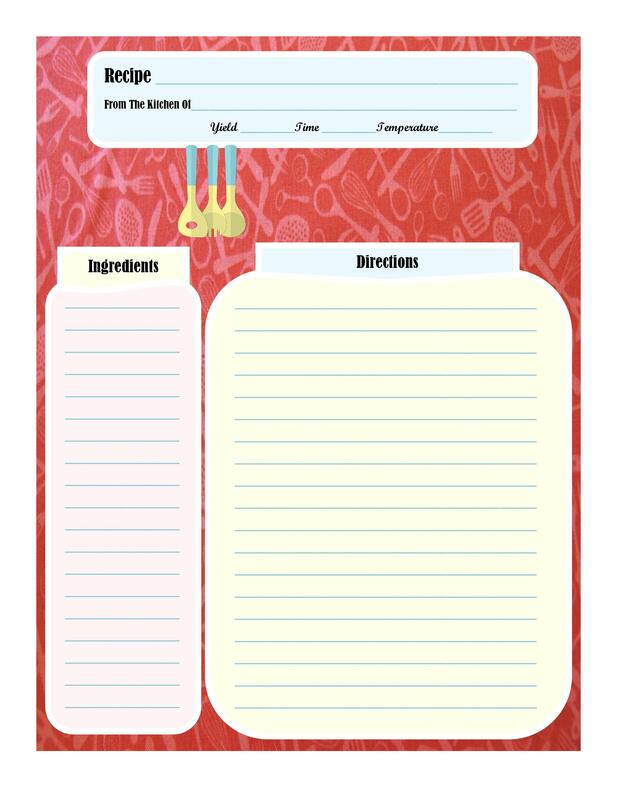 Any utensils or equipment you need to make the recipe is put on the supplies list. If there are alternatives for the supplies you use, mention them in the supplies section. If you are using specialty kitchen equipment, you can give pointers on where to find such equipment in the supplies list. 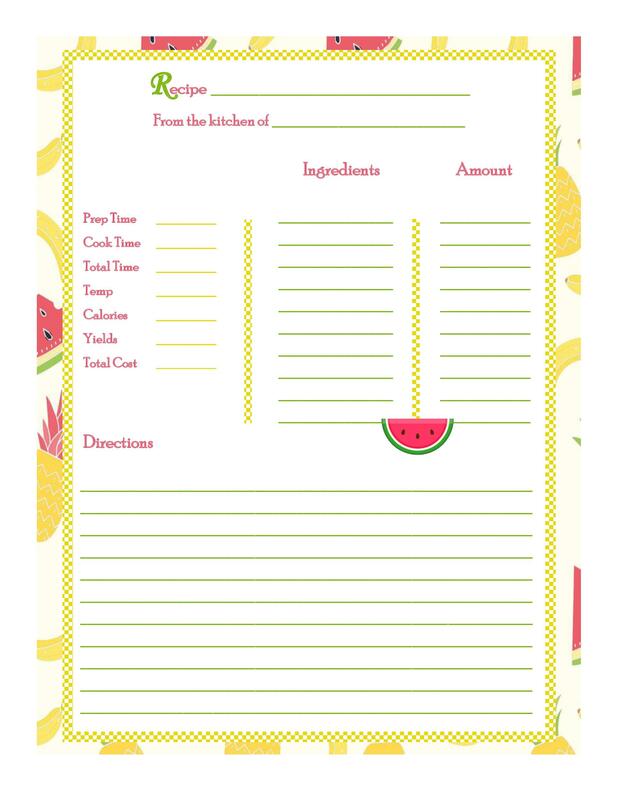 When listing supplies, if a certain size for supplies is a requirement, this is also information that goes into the supplies list of a recipe book template. The amount of time it takes to cook the dish from start to finish. This should include any time it takes to prepare ingredients before the cooking begins. The prep-time is a nice addition as it lets the cookbook user know just how long it takes to ready the dish. It allows for ease of meal planning. If your dish makes more than a single serving, you may want to include information on how much the recipe yields. Doing this allows the cook to ensure they do not make too much or too little to serve a set number of family members or guests. If you are writing a diet book or one with a special focus on the nutritional value of food, a section on the calorie content, carbohydrates, vitamins, minerals, and other nutritional data is an exceptional and useful addition to a recipe. Also, offering nutritional alternatives for vegans, those who are eating gluten-free, or those who are diabetic can help in making the cookbook appeal to a larger target audience. 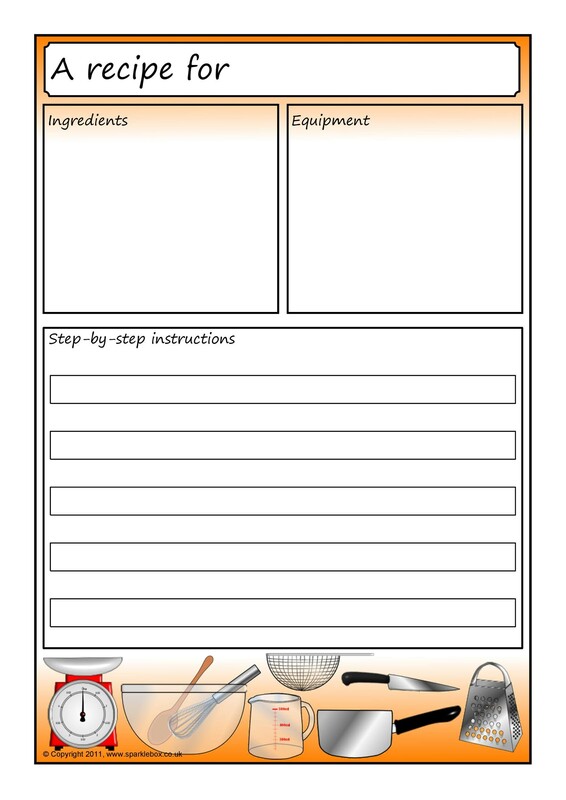 The cooking instructions help the cook put all the ingredients together in the right order and the proper portions. The entire recipe should be written with the end user in mind. 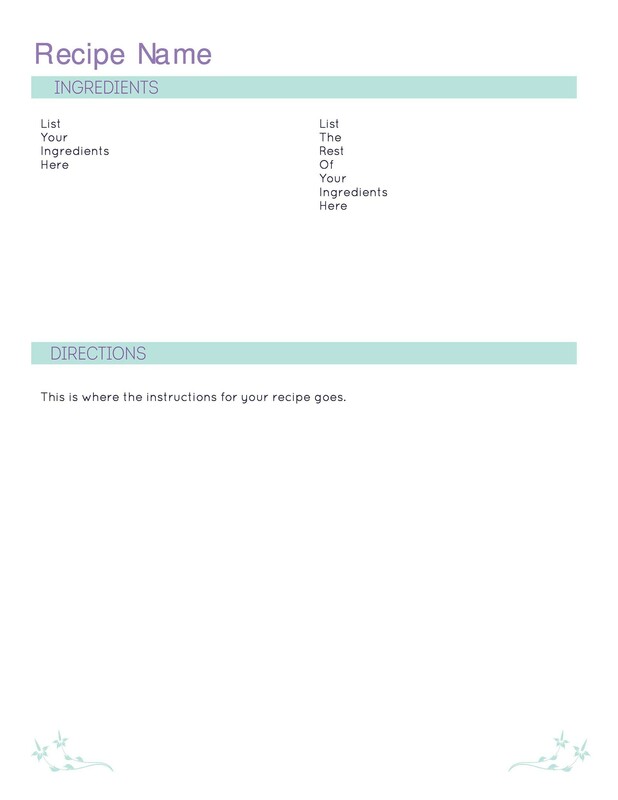 Here you can mention things to do just before you start mixing the raw ingredients in the recipe. If the oven needs to be pre-heated, this section is where such instructions appear. 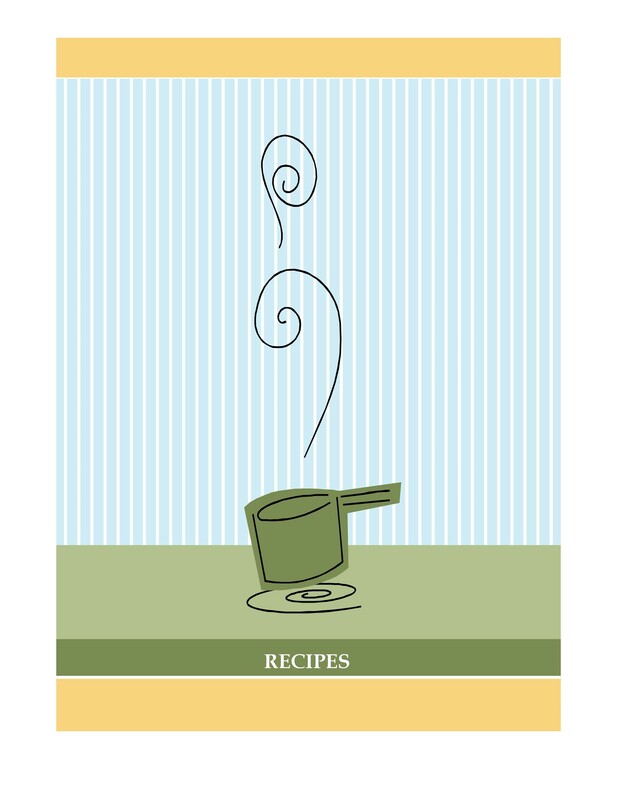 The steps in the recipe need to flow in a linear fashion. You can make the dish and take extensive notes as you do so. 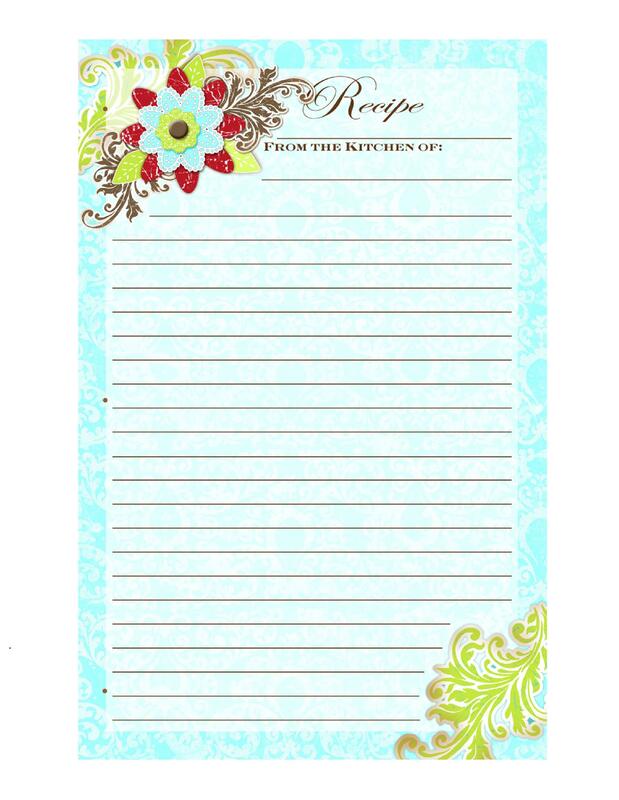 These notes can later go into your cookbook recipe template. You shouldn’t give too much worry to editing the notes until you have finished the recipe. 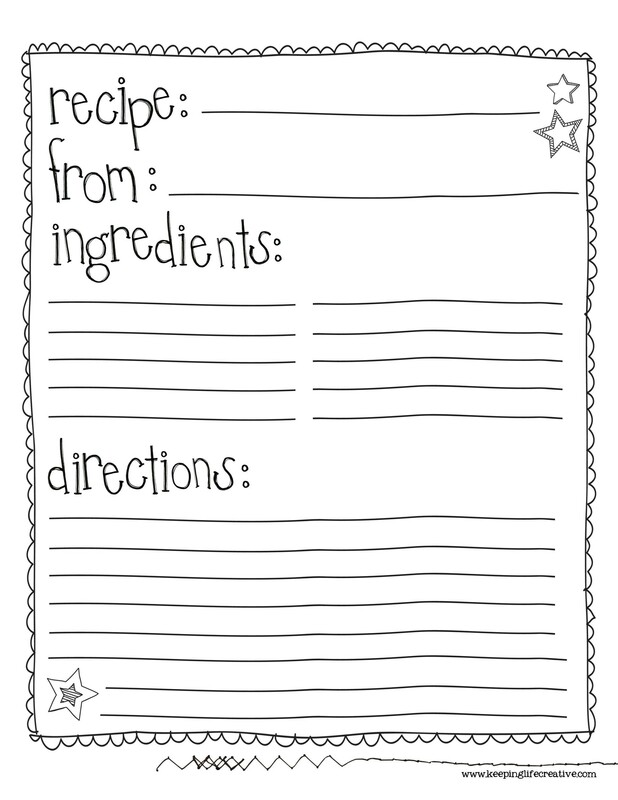 Your notes may prove to spark a memory of something important you need to include in the recipe instructions. As you write the cooking instructions you will want to stick to using the common vocabulary and language all cookbooks use. Measurements, heating instructions, and serving instructions need to be in an easy to understand language. The reader might not understand the local lingo, but can understand the universal jargon and cooking instructions all cookbooks present to readers. Just as a recipe template holds a section where you can introduce a dish, you can also put in a closing section where you offer recommendations on how to serve the dish. You might suggest refrigerating a dish for a certain period before serving. You can also add information on how to top of the dish perfectly. If the book is about being frugal, you can suggest some alternatives to making the dish stretch for a few days. Food storage recommendations are an excellent inclusion as well. Creating a cookbook can be a cumbersome process. 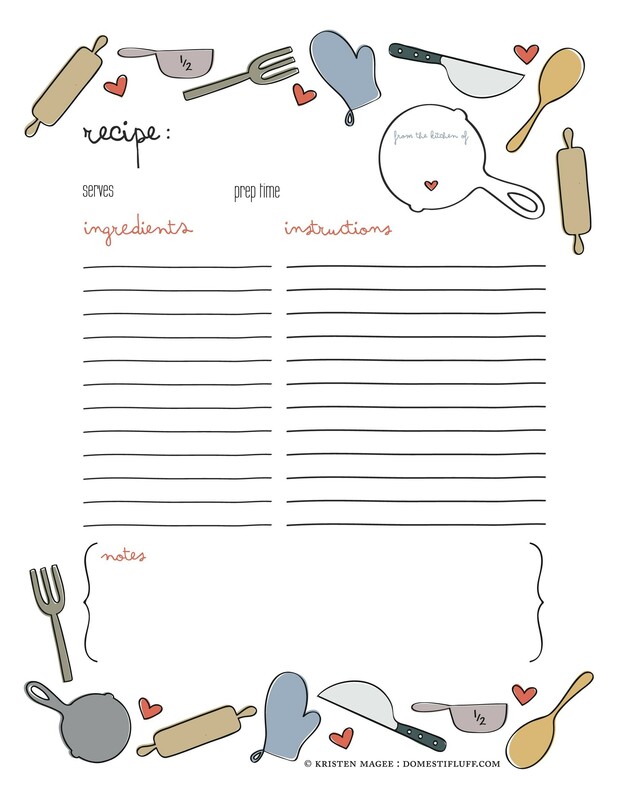 To simplify the art, using a cookbook template can help you keep the book design clear and well organized. 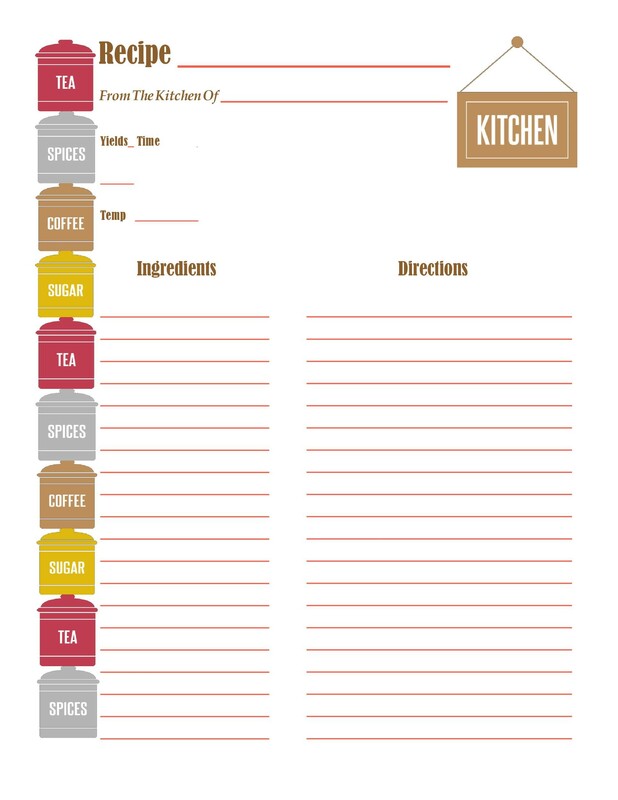 A recipe template is something that you can use to make sure you can save your recipe in perfect format, whether you are saving one recipe or a hundred. 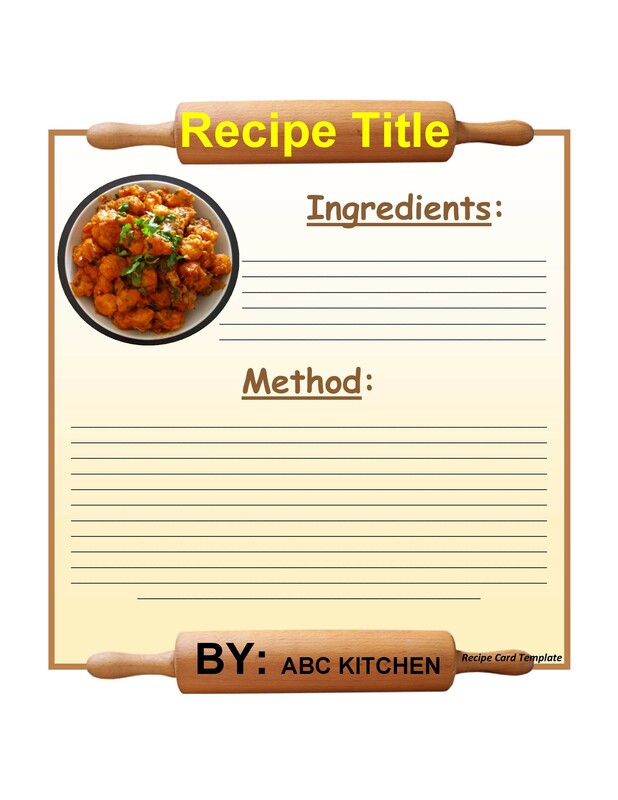 Every recipe book template proves beneficial to the write who is looking to put together a professional, well-constructed instructional guide for today’s cooks.